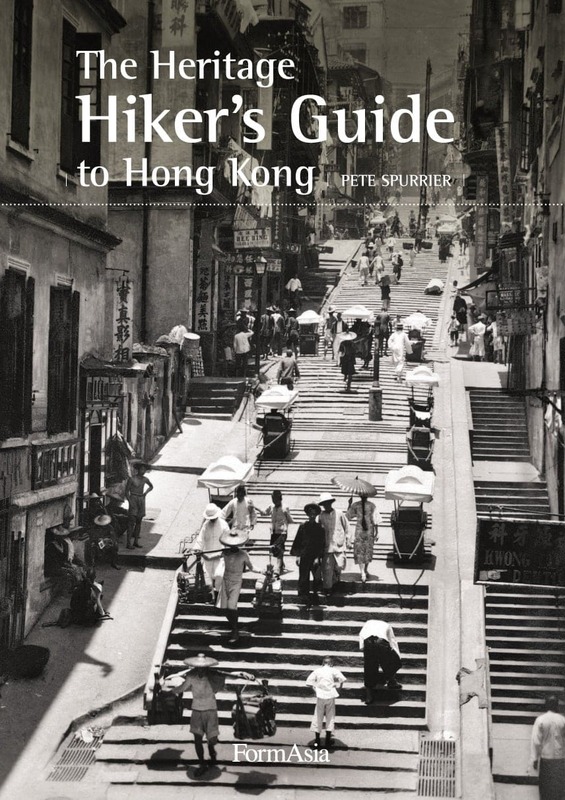 I’m very pleased to note that The Heritage Hiker’s Guide to Hong Kong has been revised and reprinted in a new edition; and even more pleased that it has been named Susan Blumberg-Kason’s book of the week! Following is an excerpt. 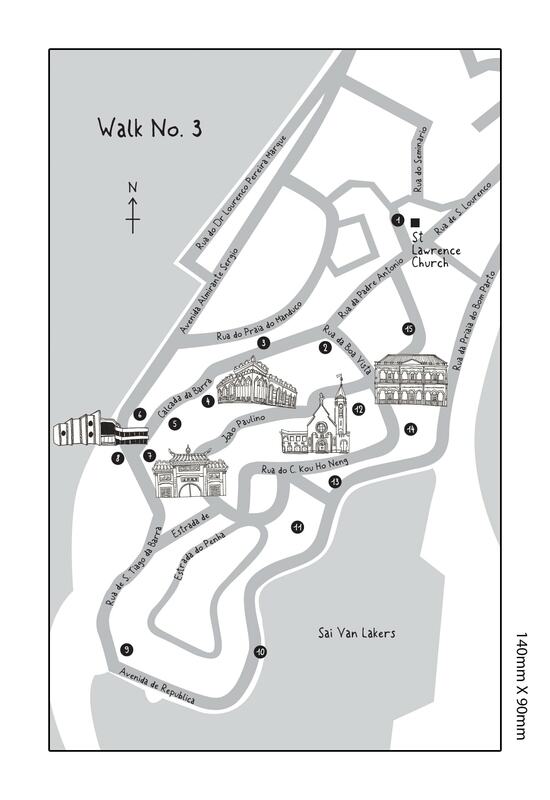 The book is not just walking directions; it’s very visual, with lots of photographs — some modern and some historical — and colour maps for each walk. I’ve included a few random spreads among the text below; click them to view at full size. Happy hiking! 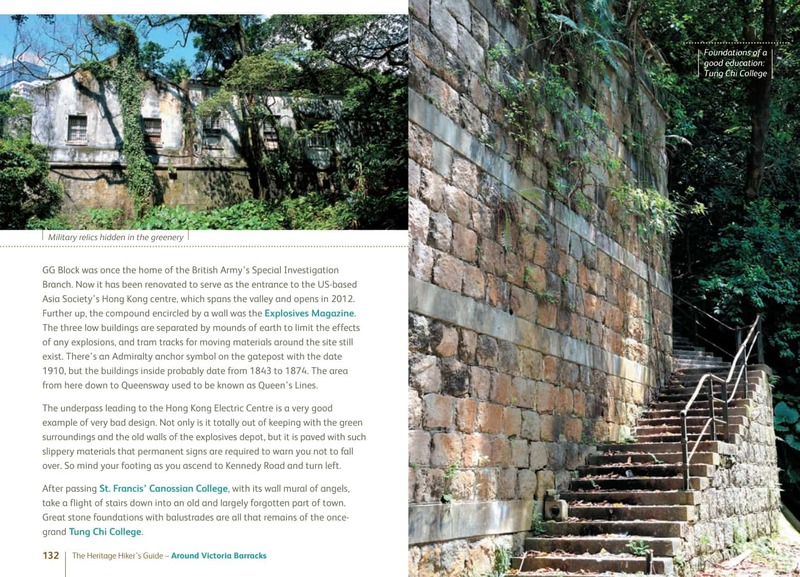 The green western slopes of Hong Kong Island have long been used as a retreat from the city – first by missionaries and dairy farmers, and today by students and wealthier residents. Starting at the Peak and ending atop Mount Davis, this walk will exercise your knees and give you advance views of the heritage sites along the way. Victoria Gap, where the Peak Tower stands, is a crossroads from which trails lead in half a dozen directions. 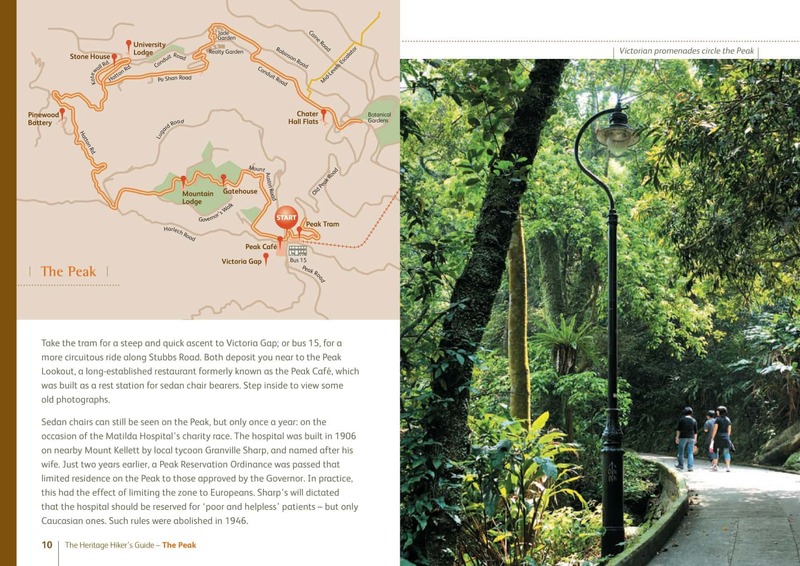 The entrance to Pok Fu Lam Country Park is easily found directly opposite the bus station, and a car-free road leads straight down into peaceful forest. Old banyans clinging to the stone walls shade your descent into the valley. 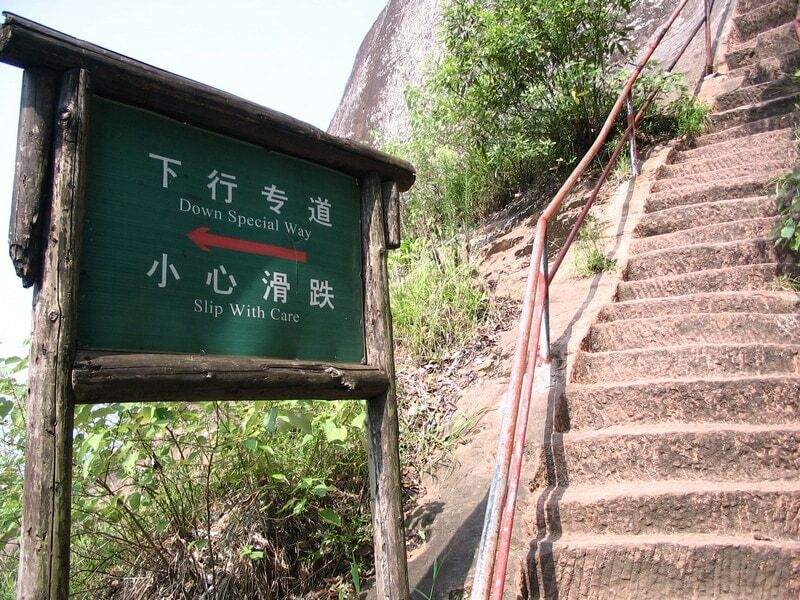 These steep hillsides were saved from development by the need to protect Hong Kong’s water sources. This valley was dammed as early as 1863 and a reservoir – the colony’s first – was built down below to supply water to the city. 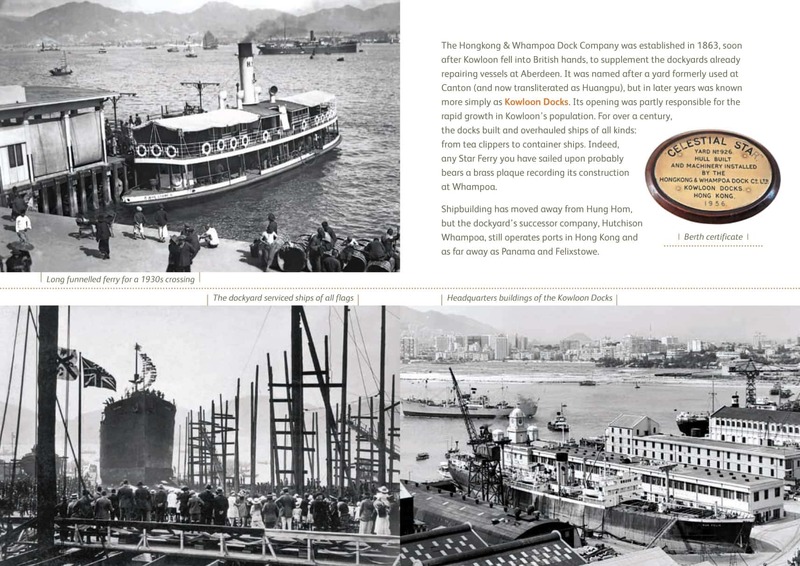 An aqueduct ran around from Pok Fu Lam to Central, giving Conduit Road its name. Major tree planting took place at the same time to prevent soil erosion. Before then, most of Hong Kong Island’s uplands were bare, partly thanks to the grass cutters who scoured the hills to collect kindling. The forest suffered during the war years, when much of it was chopped down for firewood; but it has recovered well and you’re now able to walk through mature woodland.